VSA: Eleanor, when did your interest in textiles begin? Eleanor: I think I have always sewn. I have a bear made out of a blanket I stitched together when I was about 4 years old. I don’t remember not being able to sew, or even learning to. Writing and sewing most likely came to me at the same time. Growing up I loved making dolls clothes, and as I got older that turned into my clothes. I majored in Fashion and Textiles at High school in New Zealand and won a major National school design award. My pathway was set. After finishing school I moved away from home to Sydney at the young age of seventeen to attend the wider range of fashion related courses offered at TAFE. I studied Millinery and Pattern making, and then went onto complete a Diploma in Theatrical Costume Production. 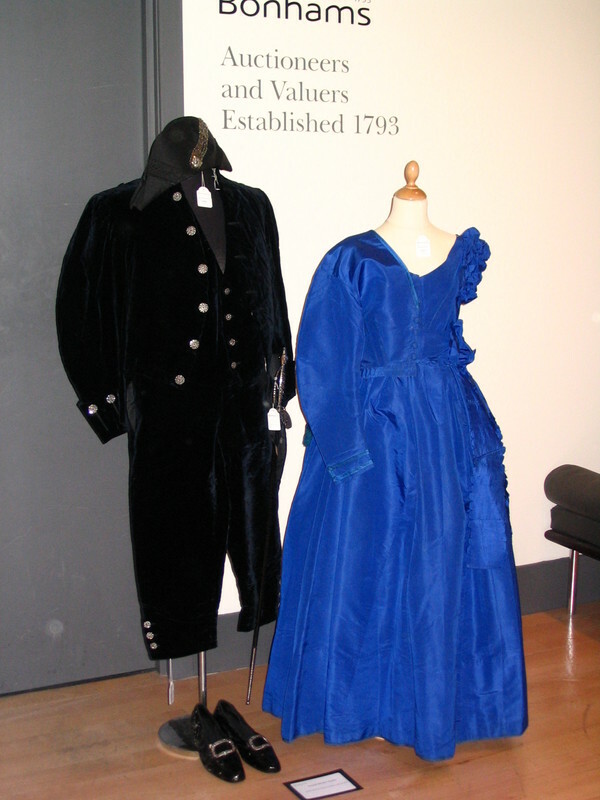 VSA: How did you come to be a specialist in the history of clothing and textiles? Eleanor: After completing my TAFE education I started a two year internship with the Curatorial department in Fashion and Textiles at the Powerhouse in Sydney. My real interest in fashion and textile history started here. I relocated again to study and completed a Masters in The History of Textiles and Dress in the UK. Bonhams was my next port of call, and I went on to run the Clothing and Textile auctions for the National group of UK auction houses. It was an amazing role to have had. VSA: Do you have a particular area of expertise? 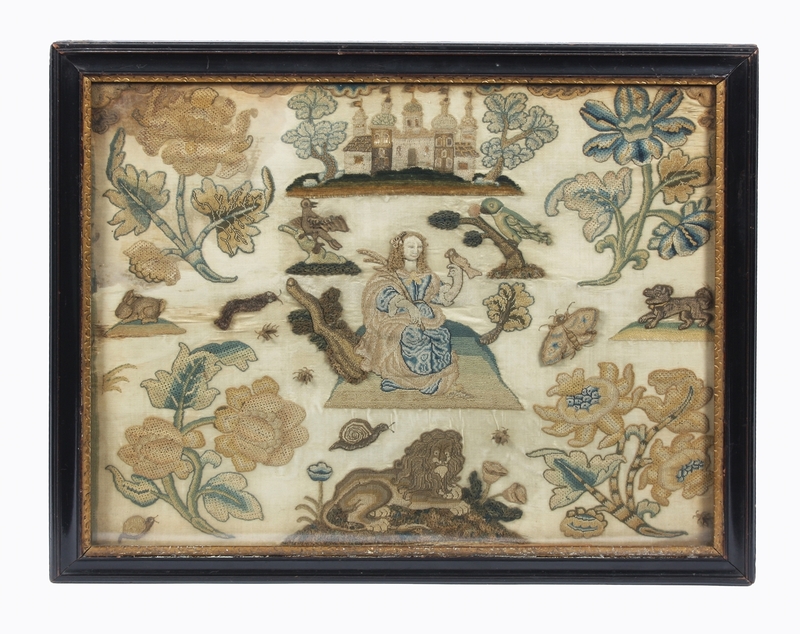 Eleanor: I guess that comes down to the items we most commonly sold at auction in the UK, which would include early 17th century needlework, 18th & 19th century fashion and accessories along with 19th century needlework samplers and lace. 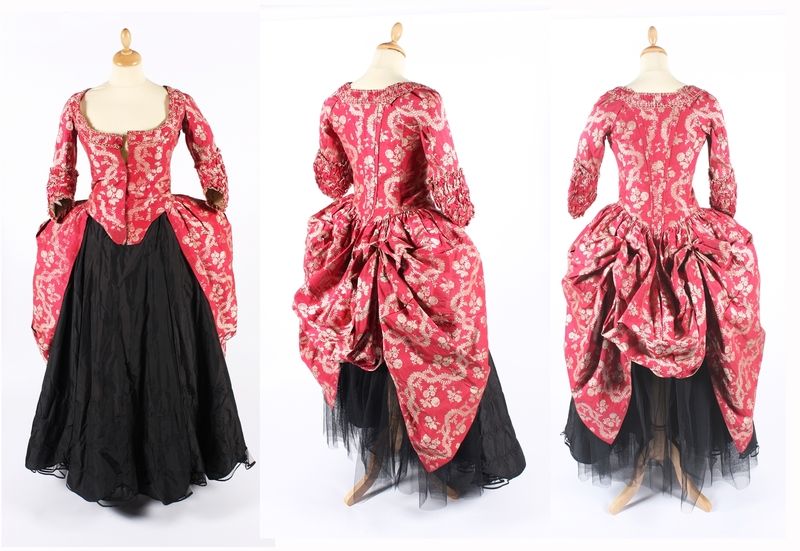 I am very interested in 18th century fashion, as it was so ornate, decorative and I really like the use of colour. I love the woven silks of this period and went on a bit of a pilgrimage to Lyon in France last year to visit the historic silk making district. 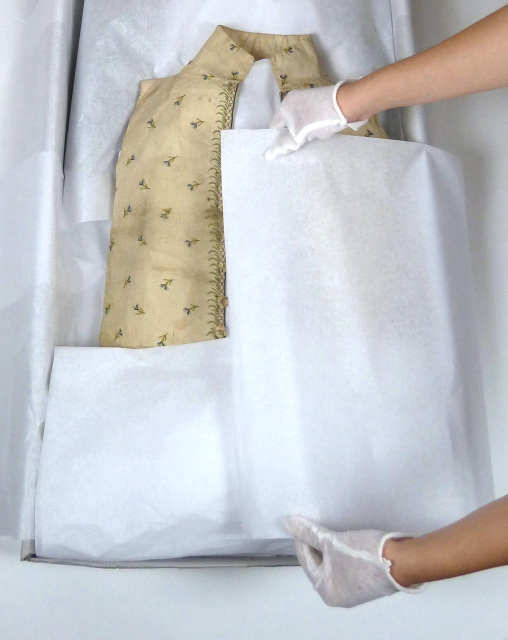 VSA: What is the best way to preserve an antique garment? Eleanor: Find an acid free box big enough to store the garment without too many folds. Try not to have any hard fold lines in the fabric as this is time can split the material, especially so with silk. Try and support soft garment folds with rolls of acid free tissue. Storage conditions in Australia are difficult, due to our climate. You want a space which doesn’t get damp, but at the same time not too hot and dry (that could dry old textiles out and shatter). Keep an eye out for insects, re look and re pack stored textile regularly. VSA: Can you tell us about your work in an auction house? Eleanor: I love working in auctions. The environment is fast paced and has such a buzz. I was very lucky to have landed on my feet running the Clothing & Textile auctions for Bonhams in the UK straight after completing my Masters degree. Many very qualified people start at Bonhams as work placements and move up to Porters – hanging pictures and moving furniture and setting up the sales, and then move up the ranks. I walked in straight off the street into running the department and I hit the ground running. There was a lot to learn, it was all on the job, with much I had to work out for myself. I put together three to four specialist auctions a year. These items had to be acquired, valued, catalogued & photographed. Budgets had to be made so what you took into sell needed to make its estimates. This resulted in the need to be quite choosey at times. 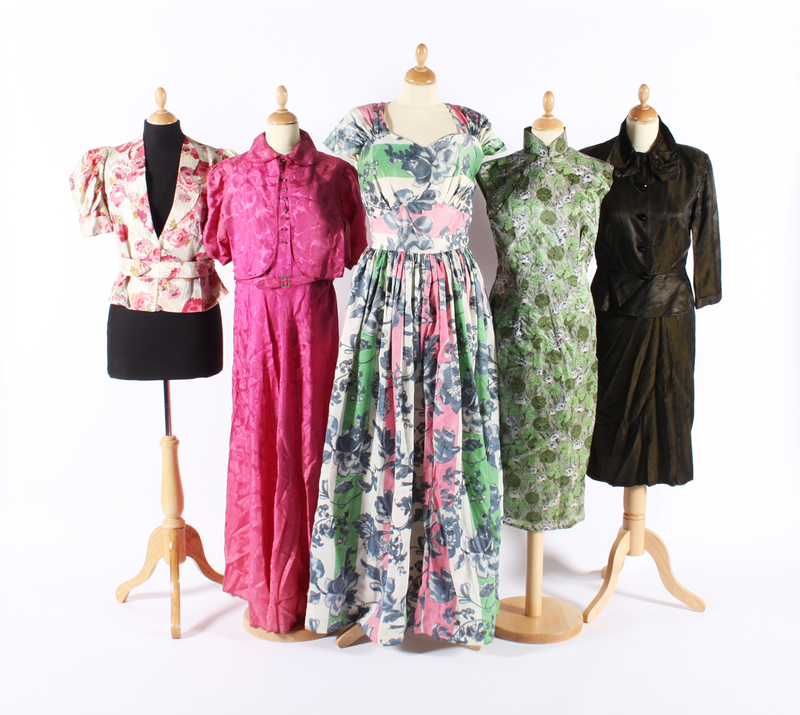 Trends in high street fashion, films, popular television costume dramas and the latest big London exhibitions would all play a part in what was going to be popular to the buyers when it came to selling at auction. Bonhams in the UK have a wide span of regional branches. Once a fortnight boxes would arrive on our internal van system. It would be like Xmas opening them all up to see what had been sent in. Sometimes it could be very exciting. I would open a trunk from a deceased estate labelled ‘’ A box of mixed Textiles’ and find a Ballet Russes Costume, or a couple of 18th century dresses. I would also travel around the country most months and to take part in valuation days in local branches with other valuers. A bit like the Antiques road show in a way, the public would bring in their items to have valued and find out a little of their history. Another aspect of the job was going out to country estates and valuing large collections to sell, or for insurance purposes. Two of the more interesting insurance jobs were Powis Castle in Wales and the Stratford-on-avon Shakespeare Costume Collection with costumes worn by classic film greats like Laurence Olivier and Vivien Leigh. I think one of my favourite aspects of the position had to be the ability to touch and get up close and personal with so many amazing historic garments. 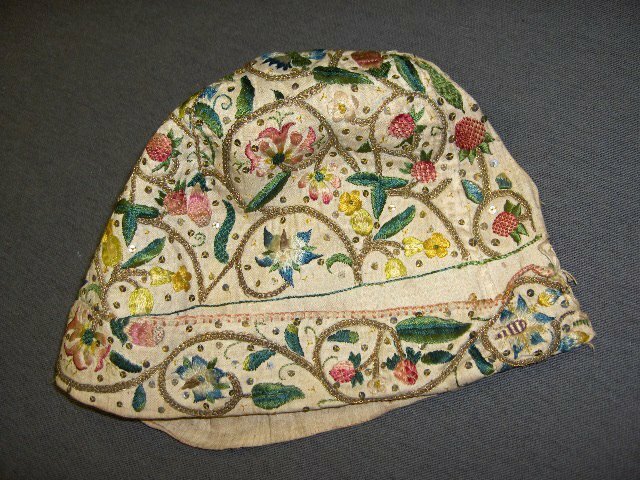 Its fabulous to be able to look at an 18th century frock from inside to out and look and understand how it has been made. To be able to handle garments that most people would only ever have access to by viewing behind class cabinets is a special privilege and one I got a lot of enjoyment from. Especially having started my education from a sewing and construction perspective . VSA: What is the most unusual article you’ve had to identify? Sometimes it was like finding a needle in a haystack searching through boxes of items to find the gems. One afternoon I identified a hand painted homemade purple and green silk suffragette scarf. As an ‘item’ of clothing it had low value, as a piece of social history it was a different story. I rang the vendor and got the history on the scarf. It had been worn by a secretary who worked in a silk mill in the famous textile district of Spitalfields in London. I explained to the vendor that I couldn’t put a reserve on the item because as an item it had low value, but footnoting the social history I hoped it would stir some interest and it did. From memory it sold for a couple of hundred pounds. 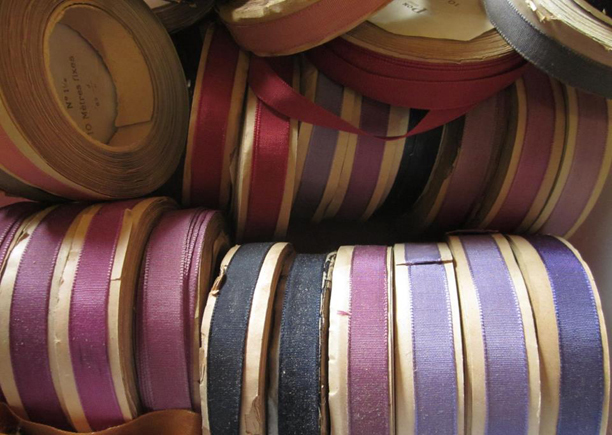 It was nice to think I could be part in helping to preserve and find homes for textile items, which might have otherwise ended up as landfill. It is sad that so many people still seem so unaware of the value of some of these items on historic, cultural as well as monetary levels. 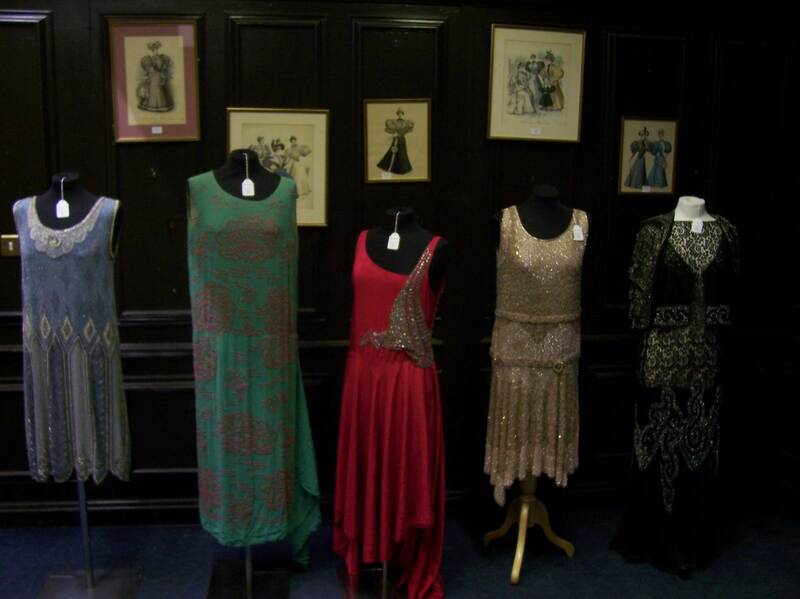 I had one elderly lady on a regional valuation day bring in large black bin bags of amazing 1920s dresses she has rescued from a skip bin. Her neighbour had passed away and the family had chucked them out. She was so happy to see the dresses go on to have homes and a further life and history, and the couple of thousand she made was a happy bonus. VSA: What is the oldest Australian item you’ve dated, and its history? Eleanor: This is a hard one. Many of the older items I have come across in Australia being sold have a short a history here. Many have in fact have originated from Europe, with very little Australian history. 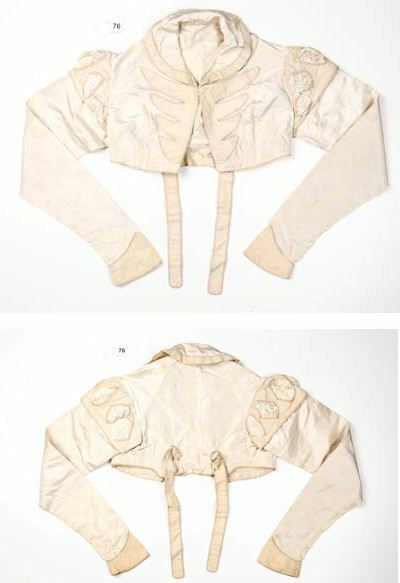 I purchased a couple of years ago, from auction in Sydney, a Regency cream silk ladies jacket (think Jane Austen) circa 1820-30. It came with some newspaper articles written in the 1970s from when it was worn on the Northern Beaches as part of a charity fashion parade. The garment had come with the family from the UK as a keepsake at an unknown point in time, and so was never worn in Australia in the early 19th century. I’d loved to own an early piece of Australian historical fashion. 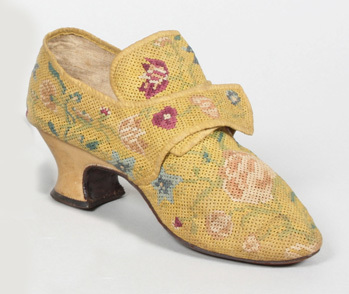 VSA: You’ll be teaching a course on the history of fashion, what’s it about and where will it is held? 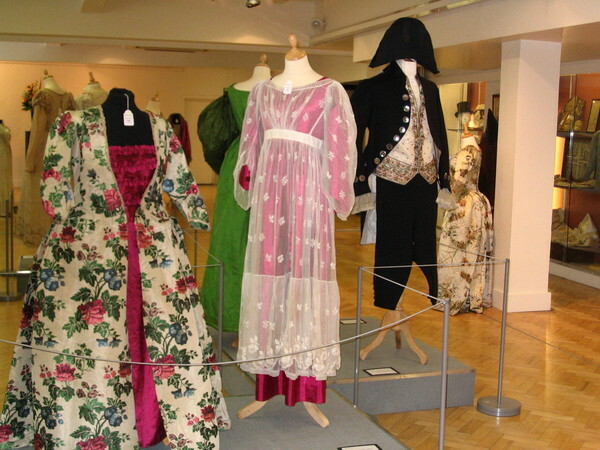 ABOUT: Fashion history has become a popular topic for academics over the last 10 years or so, with sociologists, anthropologists and art historians more and more involved with the written text on the history of dress. 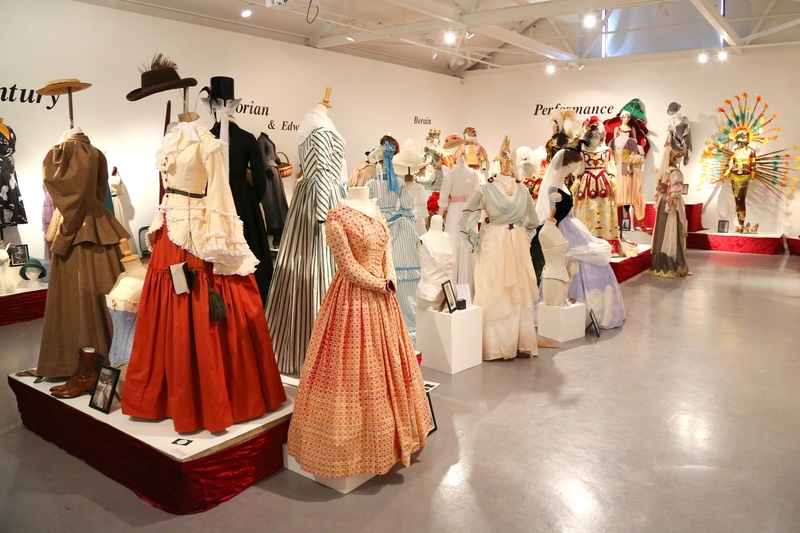 Move through the eras and ages of fashion history. Explore the popular influences on fashion, from Maire Antoinette to Christian Dior, we look at a different era in history each week. Study design lines and shapes of dress and related architecture and design. We will look at the fabrics and lace and their developments with technology. VSA: As a specialist in your field, what services do you offer and where can we find you? Eleanor: I have a number of projects going on at any one time. Writing articles, valuing collections and teaching. I am always up for new suggestions and employment opportunities. You can find me on my facebook page which I update weekly, or through my rather static website. 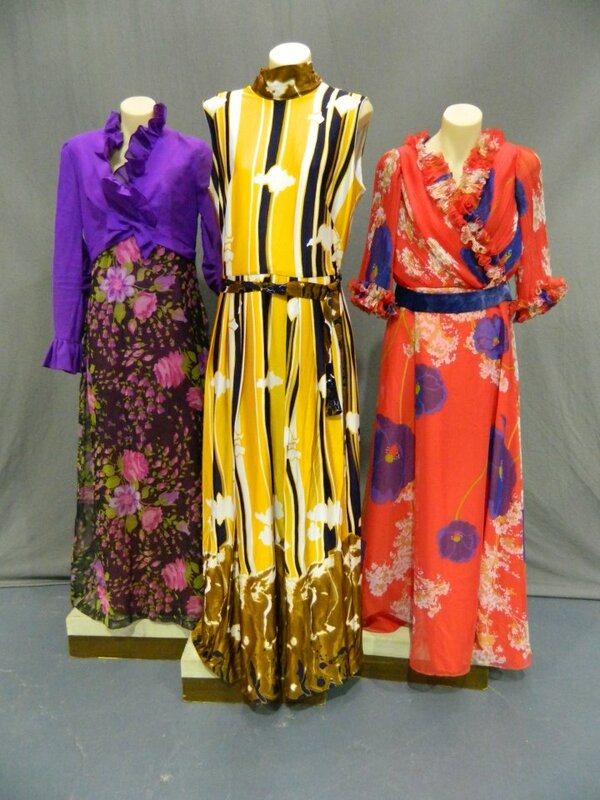 This entry was posted in interviews - vintage shops and tagged 17th century needlework, 18th century, 18th century fashion, 18th century needlework, 1920's flapper, 1940's dresses, 19th century fashion, 20's vintage, antique garment, Bonhams, clothing valuations, Dior, Fashion, fashion history course, Jane Austen, Jane Austin, Masters in The History of Textiles and Dress, millinery, Pattern making, study fashion, textile specialist, textiles, Theatrical Costume Production. Bookmark the permalink.